Launched in 2018 as a year-long celebration of our 10th anniversary, this monthly post has proved so popular that we’re keeping it going into 2019. Look for Writescape’s 10 on the 10th writing tips, advice and inspiration throughout the year. Think of it as Gwynn and Ruth sitting on your shoulder and nudging you along. Share with your writing colleagues and encourage them to sign up for more. ‘Tis the season and a time to think about gifts for writing friends. If you’re anything like us, your list of writing friends and colleagues is wonderfully long. Or perhaps you’re not a writer but have one in your life and you want to give that writer a meaningful present at this time of year. We’ve come up with 10 gift ideas, and most of them cost you little more than time and a willingness to help. And bonus–many of them are environment-friendly. Time to write. With all of life’s commitments, a gift of time can be priceless. Perhaps offer to babysit, to do the grocery shopping, take kids to hockey practice or cook up a few meals for the freezer — any task that will free up time to write. Used books. Over the years, writer friends and I have had pot luck get togethers during the holiday season. Each person brings a much-loved gently used wrapped book and then we have a draw to chose a package to take home. Not only do you get a new book to read, but the discussion this activity generates is loads of fun. Help to face fears. Submitting and rejection is one of my fears. One of the best gifts I received was a commitment from a writer friend to help me to submit my work. I picked out three pieces, then she helped me decide on markets, craft the cover letters and actually send the submissions off. Space to write. I’m lucky enough to live in a picturesque retreat property. I often offer up my home to writer friends who need to get away. I either write with them, or give them their space, whichever they want or need. If you are away at work during the day, is there a writer who would appreciate a quiet space to themselves? Hey, they could even let your dog out for you. Help to remove a block. One of my writing friends is a bit of a clutter-bug. She was feeling creatively blocked but overwhelmed at the thought of sorting through the clutter. I offered a weekend and my organizing skills to open things up a little for her so she could get creative again. Promote on social media. Write a review. Subscribe to or comment on a writer’s blog. Like a writer’s Facebook page. Interact on Twitter or Instagram or Pinterest. Repost, repin or share. Circulate blog URLs. Interview a writer on your own blog. Swap links. Encourage others to do the same. The more often the better. Perhaps schedule an hour a month to act to help promote 8 writers. By this time next year, you will have taken 100 promotion actions. Share a skill. If you are an editor, gift an editing session. If you are a whiz with Scrivener, offer a coaching session. A dedicated brainstorming session for plot building. Share your skills and you share your gifts. Organize an “inspiration day.” Pack a picnic lunch. Schedule to coincide with a free day at the local art gallery, music in the park or outdoor theatre. Map the trip to visit gravesites, outdoor sculptures, historical sites. Be the chauffeur and tour guide but remember to build in time for note-taking, observations and serendipity explorations that pop up along the way. Buy their books. Seems obvious, but we tend to think of gift giving as just that. We need to give to the writer. But as a writer, I would happily forego “getting” and know that my book has been bought and is being read. I’d even be happy to sign it. Them. A whole pile of them. Attend a launch or reading. I have attended readings where the readers and their immediate families are the only ones in the audience. Commit this year to attending a number of author events, and take at least one friend with you. And buy the book! You usually get a good price at events, and a signed copy. There are other low-cost but appreciated gifts to consider for a writer: a journal (not the fancy expensive kind, just a dollar store purchase that a writer won’t feel too intimidated to “muddy” the pages); an easy-grip pen and/or mechanical pencil; a package of paper for printing. Good for one editing session in March or April for up to 10 manuscript pages. Redeem for one afternoon of market research to develop submission strategy. Goal: 3 submissions to either agents or publications or contests. Congratulations! The bearer of this certificate will receive a day of inspiration during summer 2019. Be whisked off to places and spaces that will tickle your muse and inspire some great writing. Provide gift giver with possible free dates to find a mutually suitable time. So there you have it. Be creative and surprise another writer with a gift on this list this holiday season. Or give the list to friends and family so they can give one to you. Finally, if you have a big-ticket item on your own wish list–a new laptop, a writing retreat, a professional edit–ask family and friends to contribute to your Writing Dream Fund. Many hands can make dreams a reality. This week Writescape welcomes A.B. Funkhauser as our guest blogger. We first met her in a Writescape workshop where her unique storytelling voice immediately grabbed our attention. 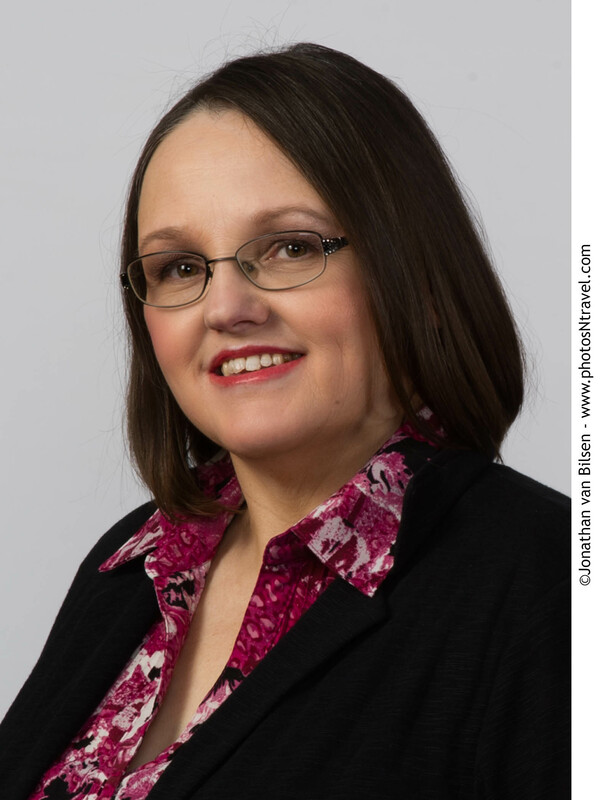 She recently launched her third novel at the Indie Author Day in Pickering, and this successful and self-propelled author lets us in on how she sees marketing in the indie world. Recently, I had the privilege of participating in Indie Author Day at the Pickering Central Library. Sponsored by the PineRidge Arts Council, its purpose was to bring independent and micro-published authors together under a single roof to share ideas and lamentations about this journey we call writing. Writing is so much more than words on a page. We chase character, motivation, arc, pacing and a satisfying resolution, each ideally wrapped tight in a prescient, unique voice that distinguishes the work and acts as a fingerprint for the artist behind it. Finding that combination can take years accompanied by scores of rejection letters that keep fourth-place-finishes in writing contests company. That’s the trip. Those of us stubborn and committed enough to either win a contract or go boldly into self-publishing know that the second part of the journey has begun, and it is on this that I’d like to focus. Writing it all down is a great beginning. It’s the foundation for a finished product that will be advanced by a marketing plan anchored to a brand. Most of the speakers at Indie Author Day touched on the fact that indie books have a hard time finding a home in libraries and book stores large and small. There is a very good reason for this. Curated decisions at macro and micro levels are always informed by history and convention. What worked last year will continue to work in subsequent years until new factors change the conversation. The Canadian Big Three and US Big Five publishing houses and their star authors rule the day and there is nothing wrong with this. Success models like these did not appear overnight; they started small and they grew over time. And they will continue to do so. But times are changing and Indie authors in the digital age are in a unique position to pioneer the next wave by reaching where they could not before. Heavy oak doors barred, locked and guarded by agents and executives fall away when the author, published or not, has access to millions of readers via Internet platforms. Promoting in the safety and comfort of one’s home is the best place to start building the profile that grows the brand. Think of “brand” in terms of an author resume—for how can authors rightly expect to be taken up without an introduction? Many times we hear about great manuscripts going nowhere because the author (the brand) has little or no Internet presence. The same happens when authors approach libraries and book stores. “Who are you?” and “What are your credentials?” takes the place of “What is the book about?” These questions are not unreasonable. Like a politician with a constituency, independent authors need followers as a first step to developing “cred” for the words they write. As I explained more than once on Indie Author Day, we can write the best novel, screenplay, short story or poem, but no one will know if we do not get out there and let people know. Standing in front of our book tables trying to engage a busy parent or indifferent teen on their way to the stacks can be soul depleting. But after a handful of books-oriented events, we do get the hang of connecting on a person-to-person level. Many of us tempt with bowls of candies, free key chains, magnets, bookmarks or short story samples. When a conversation goes well, a book or two may actually be sold. But it is the connection that is key. For every 50 business cards handed out, only a precious few will be retained; even fewer will be used to access the author’s buy links or website. But that is also okay. We’re not only building a constituency of readers and “cred”, but we’re also building a bridge to that first invitation to guest on a podcast, blog or cable show. Publishing models in the Indie world present many formulas. My publisher says “seven years or five books” before anything happens. Whatever is served up, writers should not be discouraged. Time is an opportunity not just to write, but to build brand and the followers who support and advance it. The times they are a changin’ opines one of my favorite clichés. For those willing to embrace the change, there is much to be done. I’ve only scratched the surface in a handful of words. The rest is up to you. Toronto born A.B. Funkhauser is a multi-published genre-bending author who loves to market as much as she loves to hash out new material. She credits Writescape with helping her find her way. She publishes through Solstice Publishing. This weekend, Ruth and I spent a few hours with a motivated and talented group of writers in St. Catharines. Some were beginners, some seasoned professionals, but all of them dived in and challenged themselves and took creative risks. It was thoroughly energizing. Writing is, for the most part, a solitary act. Sometimes lonely, sometimes blissfully peaceful. But I find that too much alone time as a writer is not always good. Yes, I might get more written, but it can also sometimes skew my writing perspective. I can get rooted in bad writing habits, forgetting to use fundamental writing skills I have used before. My writing challenges can start to feel insurmountable. Or I can relax into my writing comfort zone and stop taking risks…dulling my creative edge. Being with other writers this weekend, feeling that energy that emerges when writers get together, reminded me that I need to build that into my writing life. I also need to hone my creative edge by deliberately taking regular creative risks. So how can you take regular creative risks and re-energize? Write a scene from a non-POV character‘s perspective. This reminds you that each character has their own motivations. You don’t have to use the piece you write, but in the act of writing it, that character may give you insights about your regular POV character or about the events in the scene. Perhaps there are even connections to other characters you were missing. Using prompts forces you to come at things from different entry points. They stimulate memories and experiences that can be adapted to fiction and can be a springboard to new ideas. Here are three links to get you started. Freefall writing is one of the best and most satisfying ways I know to stay ahead of your internal editor and left analytical brain and give your right creative brain and your subconscious a chance to surface. By writing without stopping for a set time, and having no expectations of what will be written is extremely freeing, and time and time again I’ve seen wonderful writing emerge from the practice. Even if you have a wonderful writing space at home, getting together with other writers to write is a different and energizing experience. I live next to a lake, but look forward to going on retreat whenever I can. It allows me to “leave the world behind” for a short while and concentrate on being creative. Being with a group of people who understand the writing world is invaluable and seeing others around me writing motivates me to write too. Try it. Join Ruth and me at our annual fall retreat Turning Leaves 2016 this November. 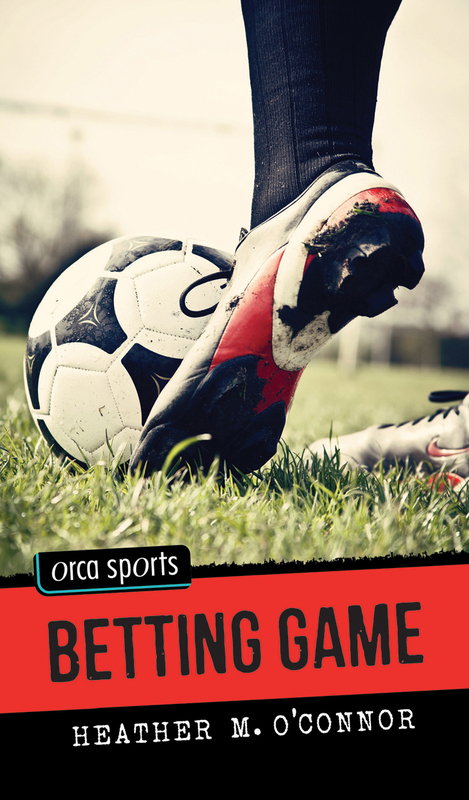 Last fall, Orca Books published my debut novel Betting Game. I had nine months between signing a contract and delivering my book baby. It seemed like plenty of time. It wasn’t. Next time I’m expecting a new book baby, I’ll sit down right away and make a plan of action. What do I need to do, and when? How much time will it all take? What are my priorities? Keep everything. Edits. Images. Ideas. Promo materials. Information from your marketing team. You will use, reuse, rework and re-purpose these files again and again, so find a logical way to organize them for easy retrieval. Scrivener worked for me. I stored all the flotsam and jetsam in one project, using labels and keywords to make the project super-simple to view and search. Of course, you can also store everything traditionally in folders and subfolders. Just be sure to file and label wisely. Sure, it takes a little longer to be meticulous, but it saves you time every time you need to find something. And bonus! The next time you publish, you have a ready-made road map instead of starting from square one. My memberships came in handy. I belong to national writers’ organizations like CANSCAIP, SCBWI, The Writers’ Union of Canada and the Canadian Children’s Book Centre, and locally, to the Writers’ Community of Durham Region. They offer a variety of promotional opportunities. You can also create author pages on GoodReads and Amazon.com, as well as social media channels like Facebook, Twitter and Instagram. Prepare these pages and profiles well in advance. Unfortunately, it’s not as simple as uploading the same bio and photo to each site. But they all start with the same basic building blocks. One of my best investments was Rich Helms’s Book Trailers 101. This 5-week workshop taught me the elements of a successful trailer, as well as the specialized knowledge to make one. Basic tech like how to use Animoto and Movie Maker. A bit of Audacity. Where to find reasonably priced voice talent, music and images. Tricks for uploading the final product to YouTube. Step by step, my book trailer grew from concept to finished video. The weekly group critique helped me figure out what worked and what didn’t. I came out with more than a video. I also came up with strong tag lines and blurb text. Which, of course, I tucked away in my promo folder. Book your launch as soon as you get a publication date. I launched Betting Game at Blue Heron Books in Uxbridge. They’re one of Canada’s best independent booksellers. As a result, they get booked up quickly. Like many indies, Shelley Macbeth and her staff really care about promoting Canadian books and authors. They gave me great advice and support. But that’s a post of its own! Got any prenatal advice of your own for authors expecting their first book baby? Please share it below! Heather M. O’Connor. My publisher Orca Books recently invited me to sign copies of Betting Game at the Ontario Library Association (OLA) Super Conference. “Me? Sign books at the OLA? Sure!” It’s the largest library conference and trade show in Canada. A day or two before the big day, I felt like a preteen going to her first boy-girl party. What should I wear and bring? What are the signings like? What do I say? I’ve gathered some super tips for preparing for and attending the OLA Super Conference. You can also use this advice to get the most out of other major book events, trade shows and conferences. Check out the event website. You never know what you’ll find. (The OLA provided a cool photo frame for my pics.) Identify and use the conference hashtag, and add the conference app to your phone. Read the program, even if you’re not attending the panels. Who is signing? Who is speaking? Maybe you’ll “bump into” that editor you want to meet. Shout out on social media that you’re going, and ask who else is attending. If you’re signing books, announce the time and your publisher’s booth. Share news about other signings and events. If the conference has a Facebook group or event, join it. The default attire is business casual. However, some authors add a little cosplay flair to their signings. Lena Coakley donned a prim Brontë-style bonnet to sign Worlds of Ink and Shadow at the OLA. Kari-Lynn Winters signed Bad Pirate in ARRR-some pirate gear at Reading for the Love of It, a big Toronto teachers’ conference. Skip the high heels and opt for comfortable shoes. You’ll be on your feet for hours. A phone for taking and posting pics, following the program and connecting with friends. A watch. Business cards. A strong bag for carrying all the book loot. Two reliable pens or Sharpie markers for signing, if you’re picky about your writing implements. (What writer isn’t?) Book swag, like bookmarks or buttons. My time slot was at the end of the day, so I offered a free draw to entice people to stick around. Coffee for your publishing team—they can’t always get a break. Conferences are the perfect place to network, do market research, and connect with writers and book-lovers. Strike up a conversation with your neighbour. Browse for books. Share a lunch table. study the books they showcase at the booth–what are they selling? DO take lots of pictures. Selfies. Signings. Capture the excitement, then share your pics on social media and your blog. DON’T accept book giveaways or enter the free draws at conferences for librarians or teachers, no matter how tempting they look. You’ll take those resources away from classrooms and libraries. Check in with your publisher when you arrive, and return to the booth 10-15 minutes before your signing. It gives you time to stow your bag, straighten your clothes and thoughts, and think about what you want to write. Ask someone to take pictures. Make small talk. Find connections—a student who likes soccer books, a familiar school. If they seem interested, share interesting facts and valuable resources for your book, like extras on your website or an online teachers’ guide. Or mention you do school and library visits. You feel like a rock star while you’re signing, but it’s over before you know it. Enjoy! What are your tips for getting the most out of a big book event like the OLA Super Conference? Share them below. Social media: the online cocktail party where writers, agents, publishers and readers mingle, connect, share advice and resources, do business. Are you ready to join the party? Learn how to meet, who to greet and how to make a killer impression in the writers’ world of social media. By the time you’re done, you’ll have the foundation for your social media platform. You’ll also have the resources and tools to continue building your social media presence in the arts community.